Only 5 steps to help retrieve your lost pet faster! Order your Bow Wow Meow Smart Tag. When you receive it in the post, set up your free account at this website and activate the tag using the unique code. Add all the important information about you and your pet on your profile pages. Make sure your profile is up to date and you have shared all the relevant information! The person who finds your pet can use a smart phone to scan and/or tap the tag. The latest iPhone software allows the phone's camera to scan, without the need for a QR Scanner app. If there is signal available (or as soon as signal is available), you will receive an alert which will include the GPS location of where the tag was accessed (if permission is given by the owner of the device). 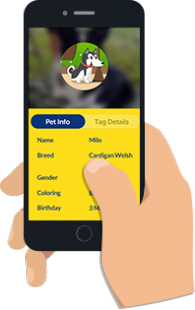 Your pet's profile will appear on their phone. They will then be able to use this information to contact you to arrange the happy reunion, and look after your pet's individual needs in the meantime. Bow Wow Meow Community Page! With the help of a Bow Meow Smart Tag, you can be reunited with your lost pet! Why does your pet need a Bow Wow Meow Smart Tag ? Bow Wow Meow Smart Tags can be the fastest way to help reunite lost pets with their owners. 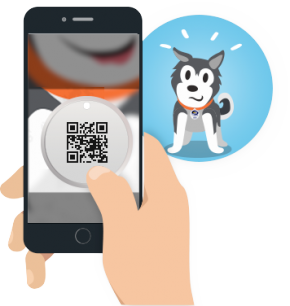 If your pet gets lost, the person who finds them can either scan the QR Code or tap the NFC chip with their smart phone or tablet, giving them access to whatever information you choose to share with them, to help them attend to any special needs your pet may have, and help reunite you as quickly as possible. Your Smart Tag's unique code can also be entered at www.retrievemypet.com to gain access to your profile. 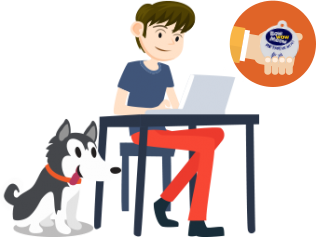 You’ll also receive an alert showing the GPS location of your Bow Wow Meow Smart Tag (when the owner of the smart device agrees to sharing their general location, and when signal is available). 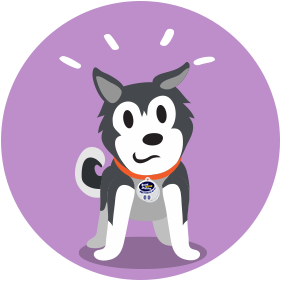 Learn more why does your pet need a Bow Wow Meow Smart Tag ?